I made this using a lovely embossing folder from Clarity Stamps. 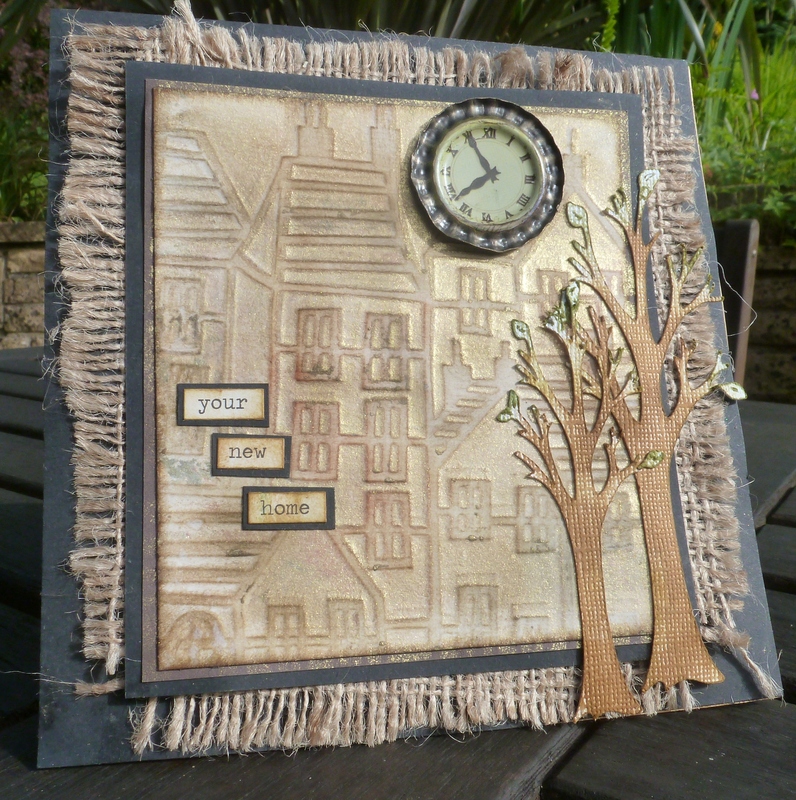 I added hessian to the backing, some TH words, and some tree dies from my stash. Also the clock is a Gorjuss bottle top. Grunged it up good and et voila! One grungy ol’ New Home card!